The presence of introduced, or non-indigenous, animals on Santa Catalina Island is one of the Catalina Island Conservancy's principal resource management challenges. Non-indigenous animals are those species that would not be on the island without direct or indirect help of humans. The mere presence of non-indigenous species is not what concerns land managers most; it is the impact they have on native species and ecosystems. Introduced species often pose challenges and threats to island natural resources that are unlike any the resources have faced in the past. The results can be devastating; catastrophic population declines and even extinction are real possibilities. Managing the influence of invasive feral (domestic species gone wild) or non-indigenous animals is not easy. Before taking action, impacts are researched and assessed by conducting studies and reviewing the current scientific literature. Then, if control is warranted and feasible solutions are available, outside experts and partner organizations are consulted to ensure that control actions are undertaken using the latest information and techniques. The following list highlights Santa Catalina Island's most visible introduced species and describes what, if any, management programs address their impacts. Over the past few years, raccoons have made their way to Santa Catalina Island aboard private vessels. 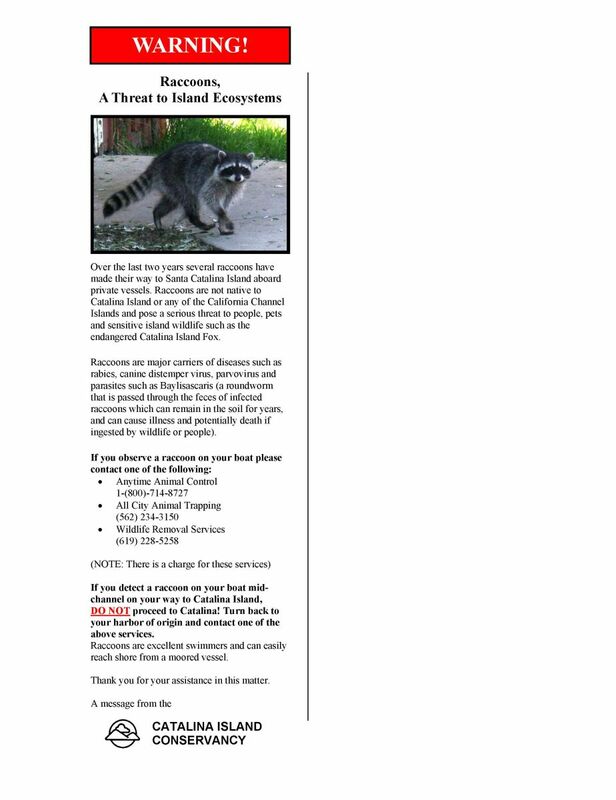 Click HERE for a flyer explaining why raccoons are extremely dangerous to the island's wildlife in addition to residents and visitors. Mule deer on Santa Catalina Island. Photo by C. de la Rosa. 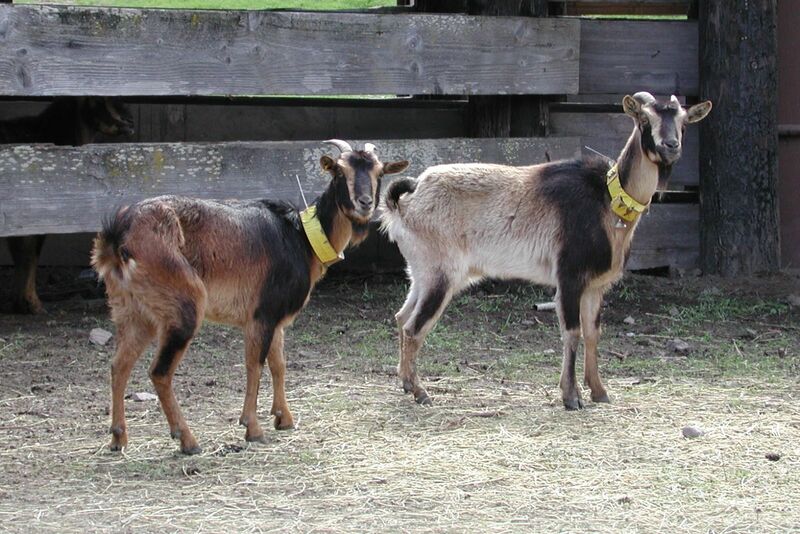 Goats on Santa Catalina Island. Black buck (Antelope cervicapra). A very small population lives near the airport. Feral pigs on Santa Catalina Island. Sheep in Middle Ranch on Santa Catalina Island.